This listing is for one 7.5 ounce orange sherbet ice cream soap cone. Made with pure vegetable glycerin soap with no added harsh detergents. 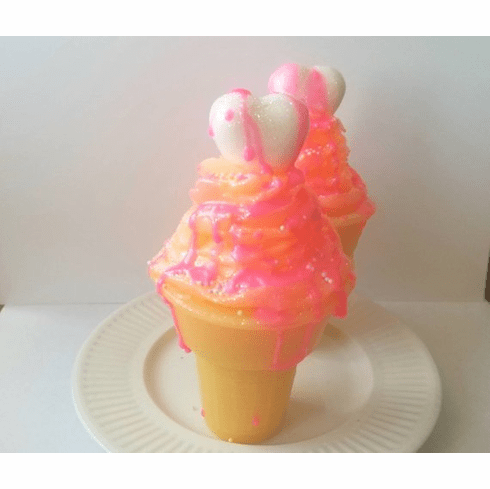 Soap is decorated with orange icing, sprinkles, glitter, a white heart soap, and drizzled with hot pink soap.